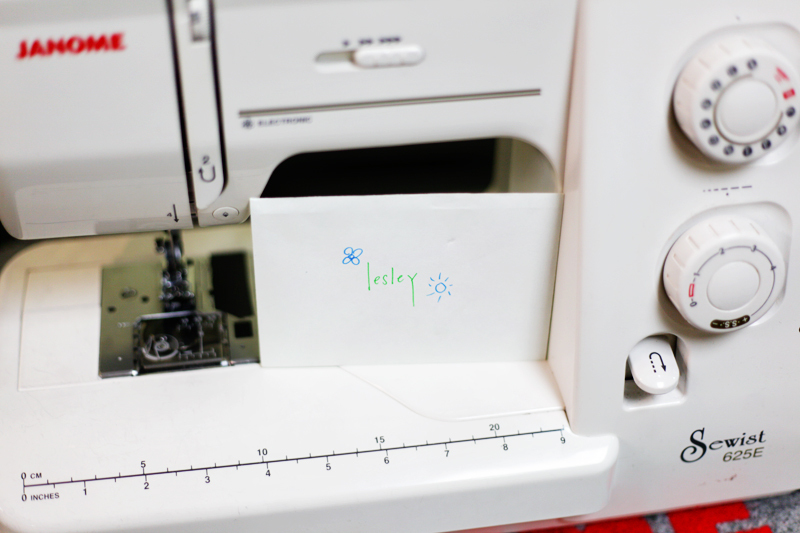 PETITE PEAR STYLE: sewing studio event + discount codes! 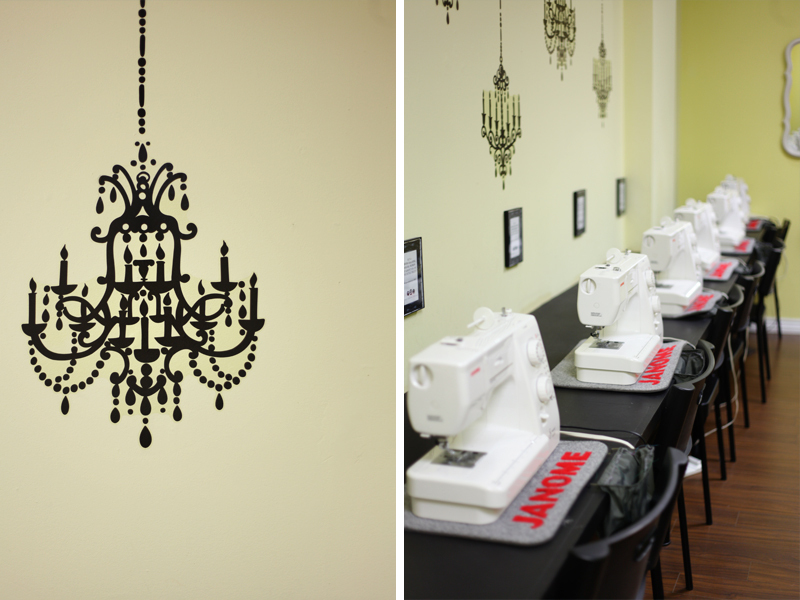 sewing studio event + discount codes! 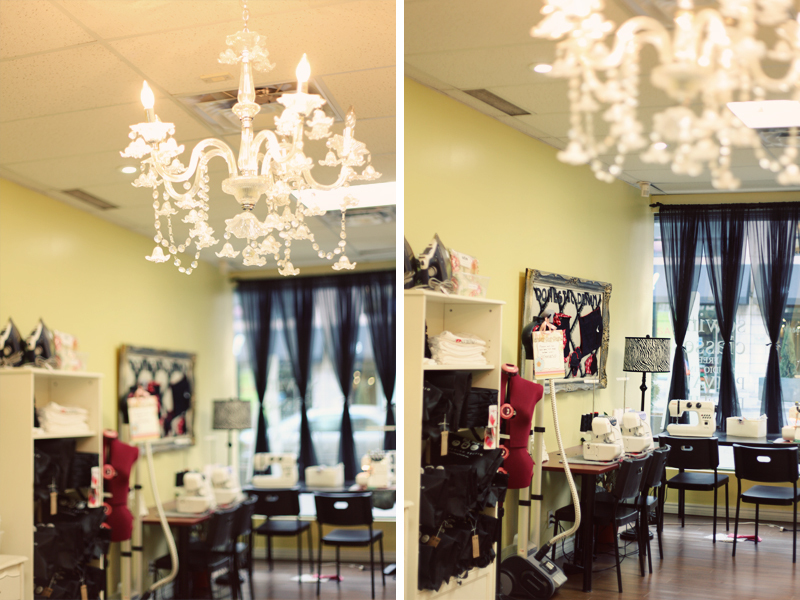 last week, i joined 3 other lifestyle bloggers at the sewing studio at yonge and summerhill for a special event. it was my very first blogger event and i was very excited to be a part of it. 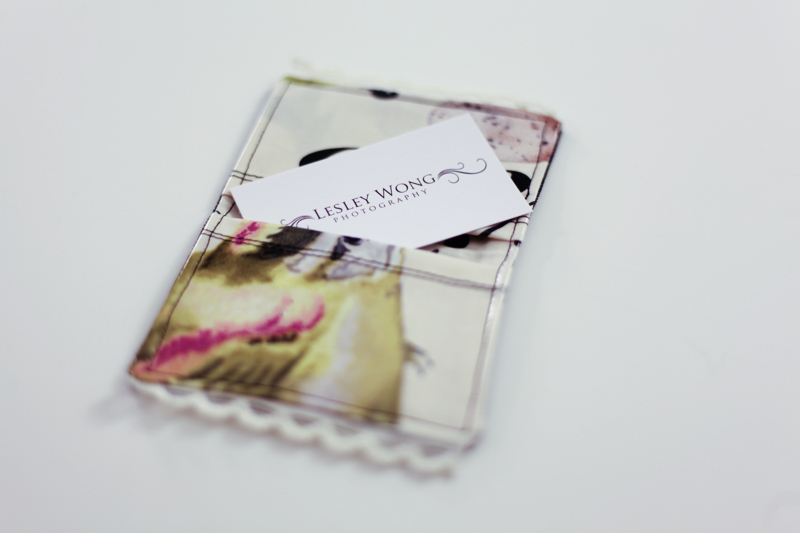 leesh, anne, lisa from the hip and urban girl's guide, and i were treated to an amazing evening of learning and laughs... plus we got to show our crafty sides and sew our own little project – a super cute business card holder! i took introductory sewing at the sewing studio in the fall of 2010. sadly, even though i *loooved* the class and redeemed a bunch of air miles for my very own sewing machine, i turned into a very lazy girl. off the high of learning how to sew, i told my hubby that i was going to make drawstring bags so i could use them to wrap everyone’s christmas gifts. i didn’t understand why he didn’t get overly excited about my idea... until the bags never materialized. fast forward almost 2 years later and i found myself in the lovely sewing studio again. it felt like seeing an old friend – oddly familiar yet you’re not quite sure what to expect. the studio is still as charming as i remember – with brightly painted walls, a quirky chandelier motif, and rows of janome sewing machines. we each had a station set up for us, complete with personalized cards! 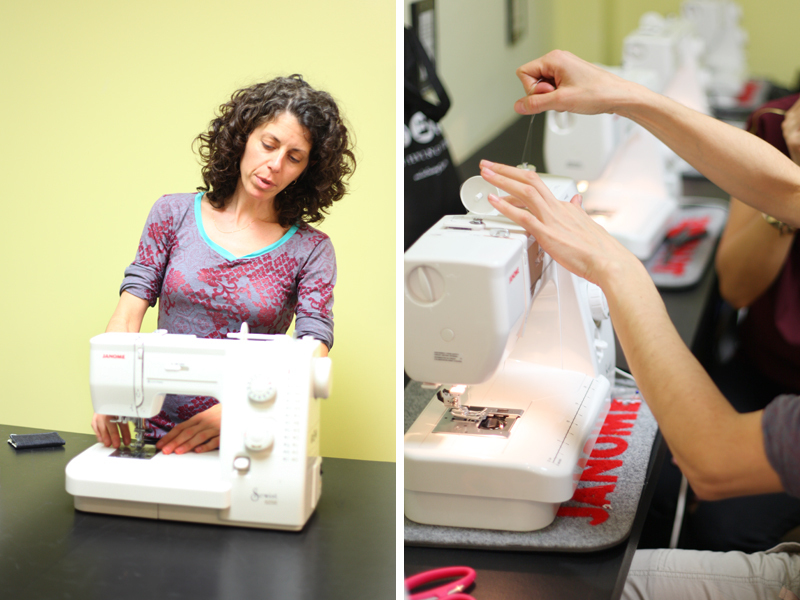 after a short round of introductions, (the very patient) christina started teaching us – step-by-step – how to use the sewing machines. as we watched on (and snapped photos and tweeted), christina explained the different parts of the sewing machine, showed us how to thread the machine, how to sew a straight line, etc... oh how i've missed sewing! then we got to choose our fabrics. 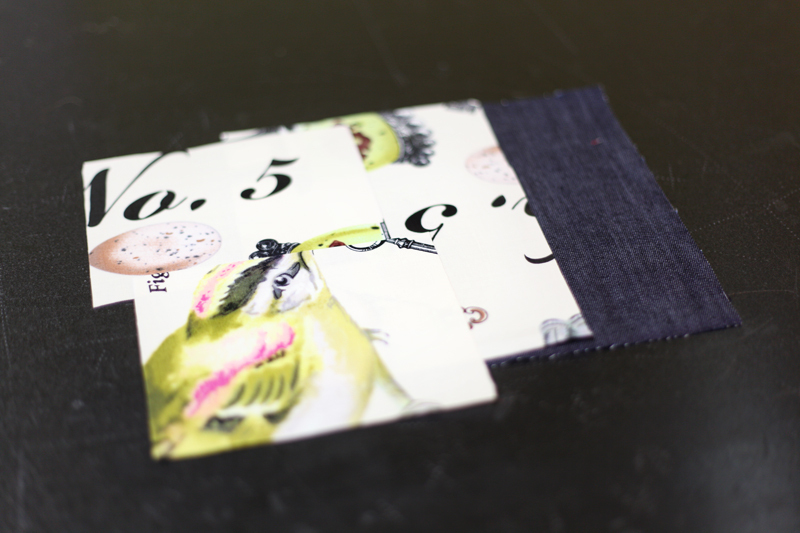 no one wanted the bird on the fabric and i was secretly glad as i have an almost unhealthy fascination with birds – especially on clothing and accessories. the bird on my fabric was missing his beak but it was close enough. 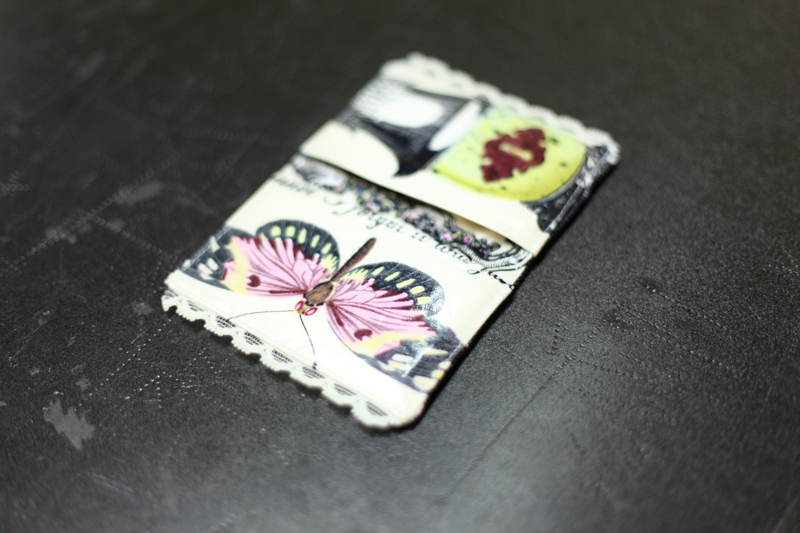 i was engrossed with the rest of the tutorial so i didn’t take many more photos... however, i did take a photo of my finished project when i got home! 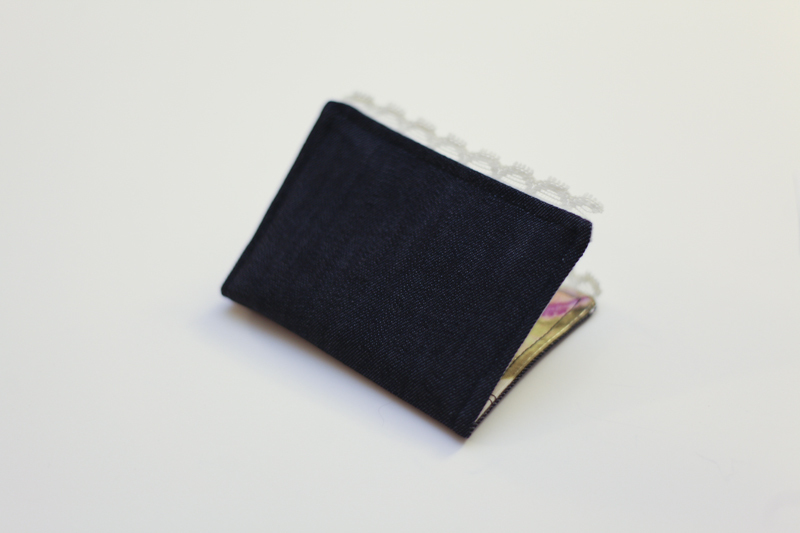 the outside is super cute – denim with lace trim. i messed up the trim on one side so i super-glued it. super-glue has become my new best friend. 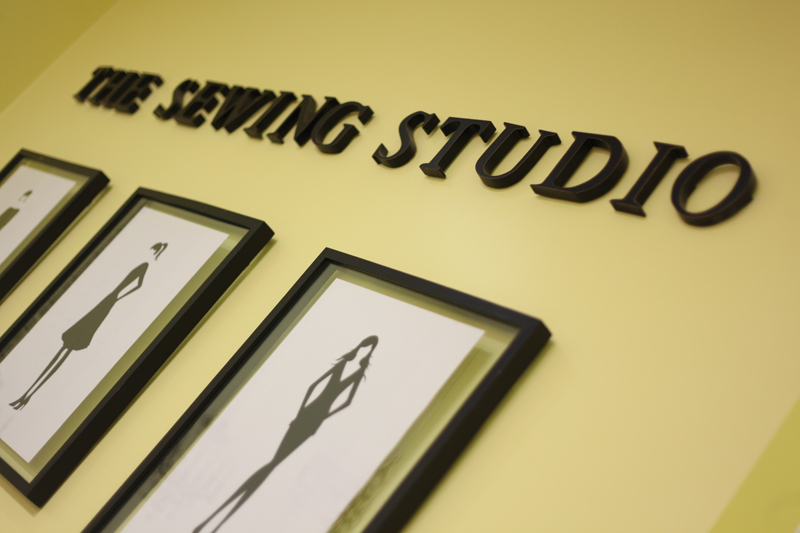 a big thank you to the sewing studio for a wonderful event (and to stephanie for inviting me)! i am looking forward to visiting again very soon as i have already signed up for another class! 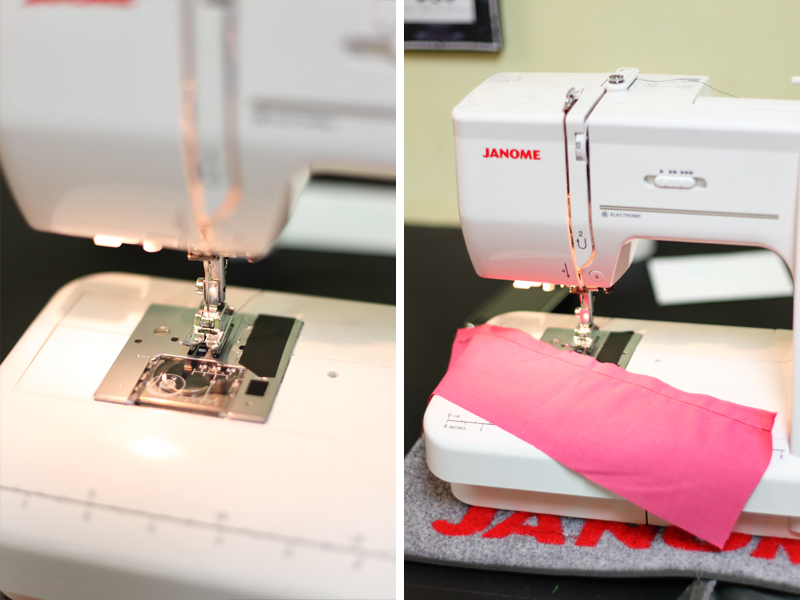 1) 50% off any class in 2012. this promo comes with a cute tote bag, water bottle, and a complete sewing kit. this promo code has been given away! 2) 50% off any class starting in march or may 2012. this promo comes with a cute tote bag and a water bottle. this promo code has been given away! 3) $25 off a class of your choice. if you would like to take advantage of any of the above promotions, please message me and i will send over the coupon code right away. quantities are limited and will be first come, first served. disclaimer: i do not receive any credits and i am not in any way compensated for providing the above review or discount codes. It was so nice to meet you at this event. I see a blog friendship blossoming. i am interested in taking a class there. what is the promo code? sorry for the delay - i was out of town when you left your comment. i have already given away the promo codes for 50% off (#1 & #2). if you are interested, i do have a promo code for $25 off - it’s LOVETO25. I would love to take a class there. I've been checking out their site. Do you have a promo code I can use? hi michelle! the only promo code i have remaining is for $25 off - please feel free to use it. it's LOVETO25.